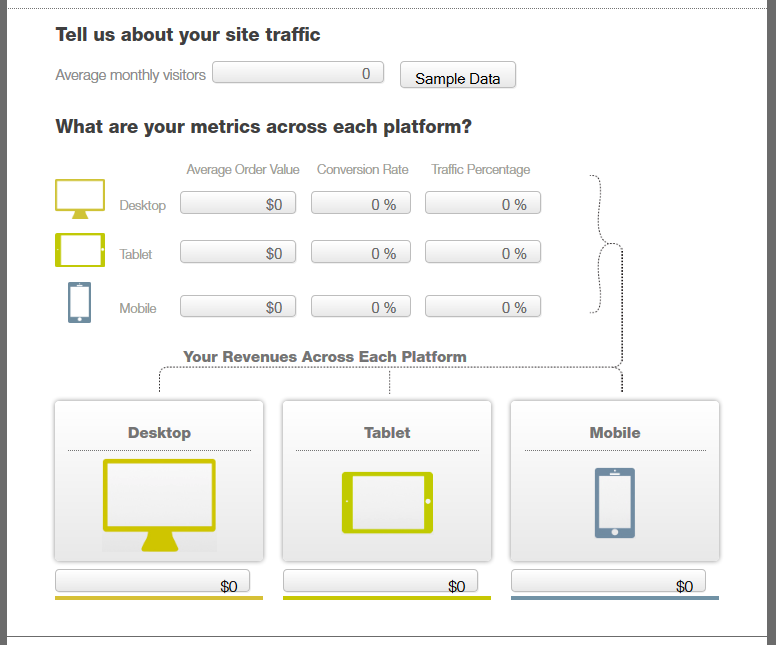 Want to know how much revenue a bad mobile site could cost your business? If so, look no further than the SkavaONE Calculator. The SkavaONE Calculator is a Web-based app that retailers can leverage to calculate potential lost revenue from their mobile channel. Retailers simply need to input data such as their average order value, amount of traffic and conversion rates across platforms in order for the app to calculate the financial implications of a poorly performing mobile site.